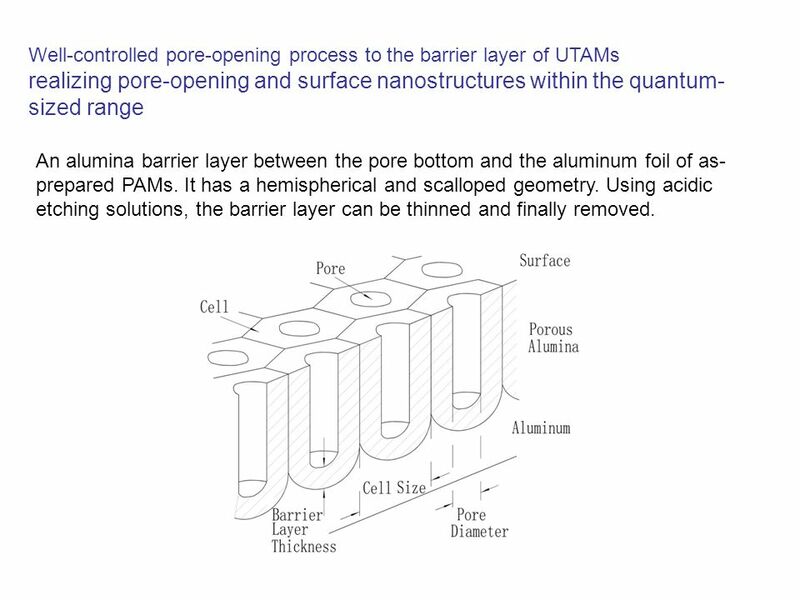 realizing pore-opening and surface nanostructures within the quantum-sized range An alumina barrier layer between the pore bottom and the aluminum foil of as-prepared PAMs. 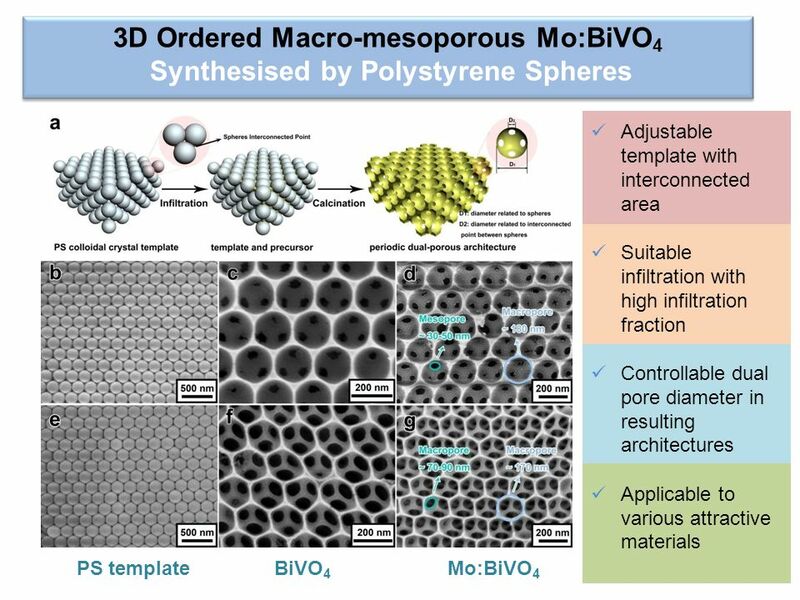 It has a hemispherical and scalloped geometry. 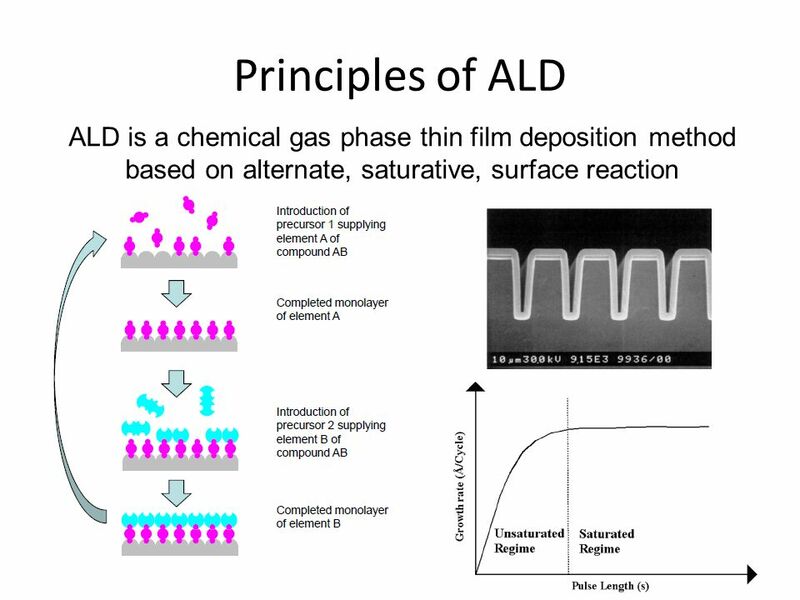 Using acidic etching solutions, the barrier layer can be thinned and finally removed. 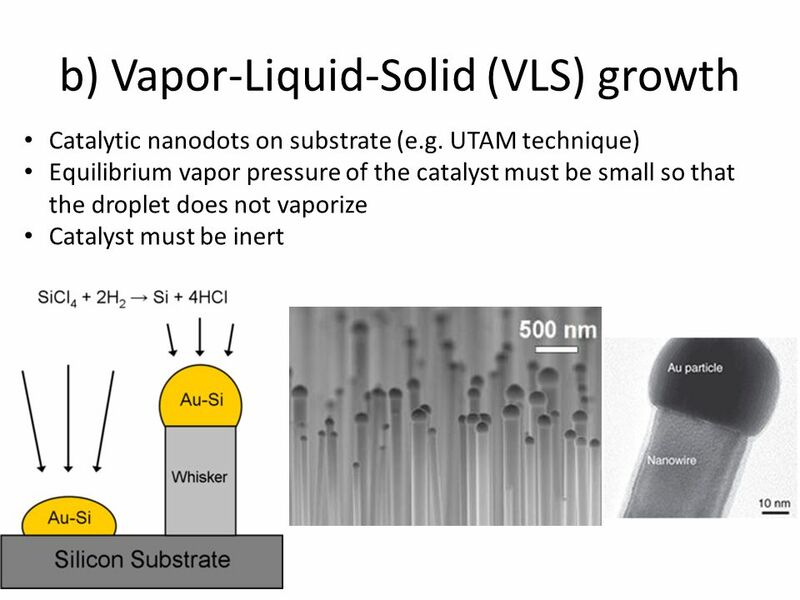 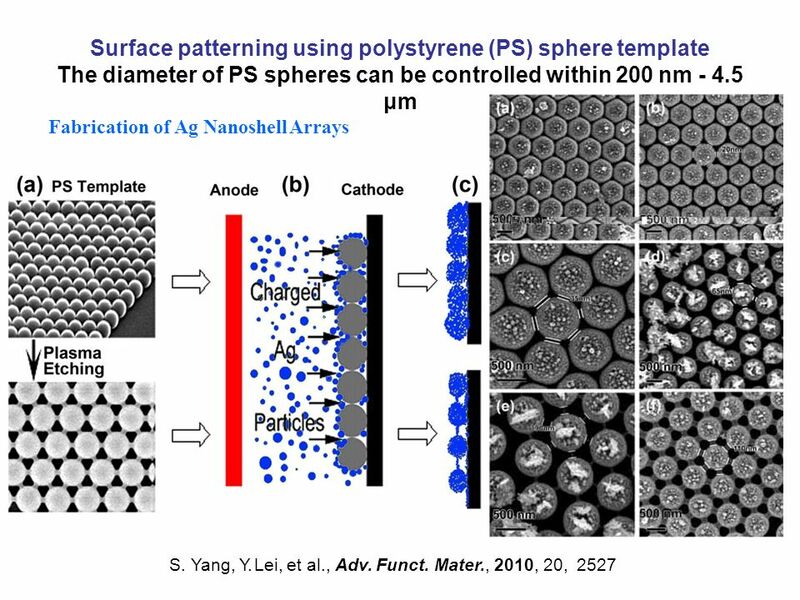 UTAM-prepared nanostructures To control the structural parameters (shape, size and spacing) is very important Controllable sizes and shapes: The pore diameters of the UTAMs can be adjusted from about 10 to 400 nm to yield nanoparticles of corresponding size. 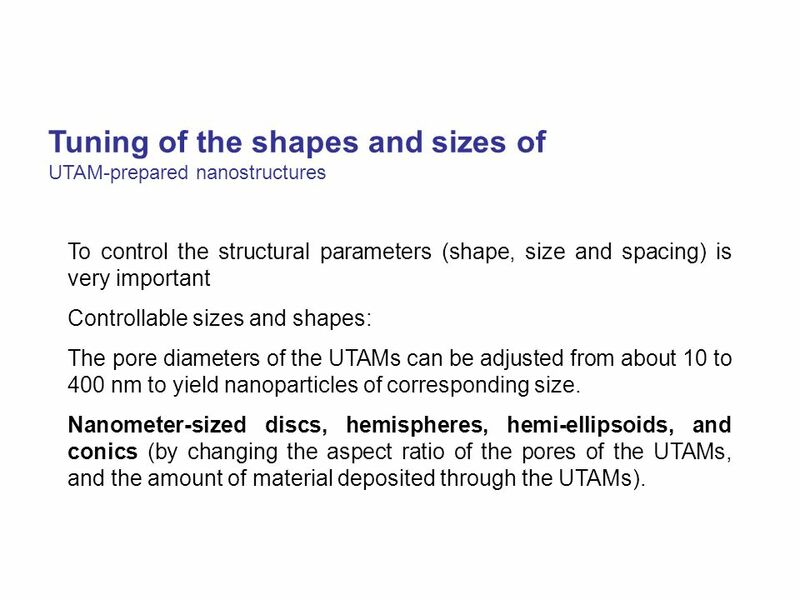 Nanometer-sized discs, hemispheres, hemi-ellipsoids, and conics (by changing the aspect ratio of the pores of the UTAMs, and the amount of material deposited through the UTAMs). 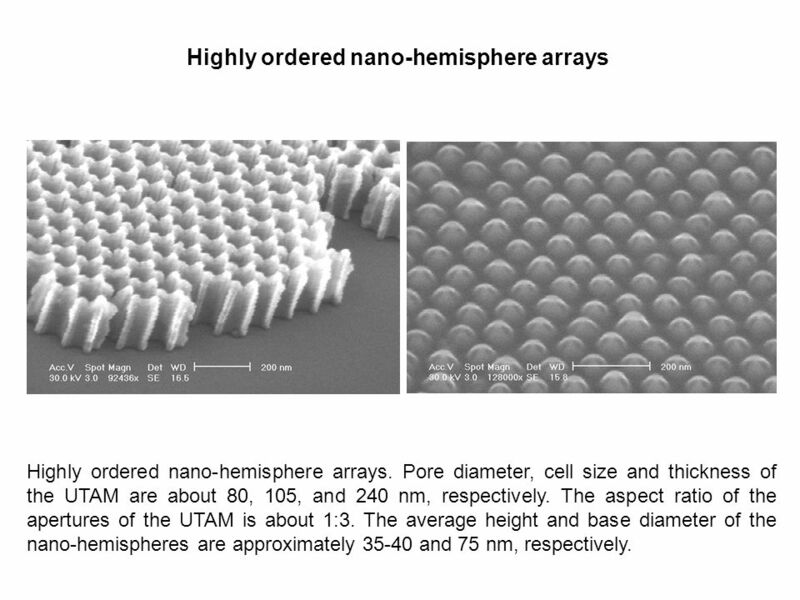 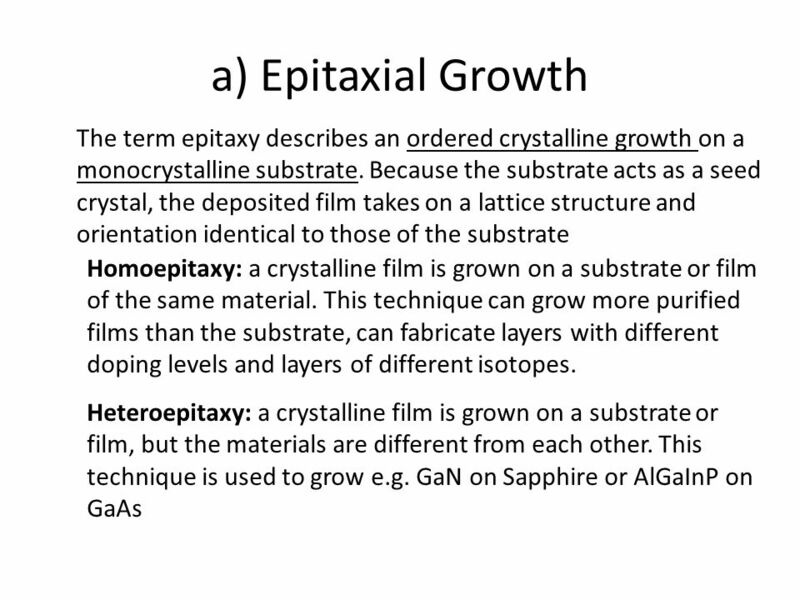 Highly ordered nano-hemisphere arrays. 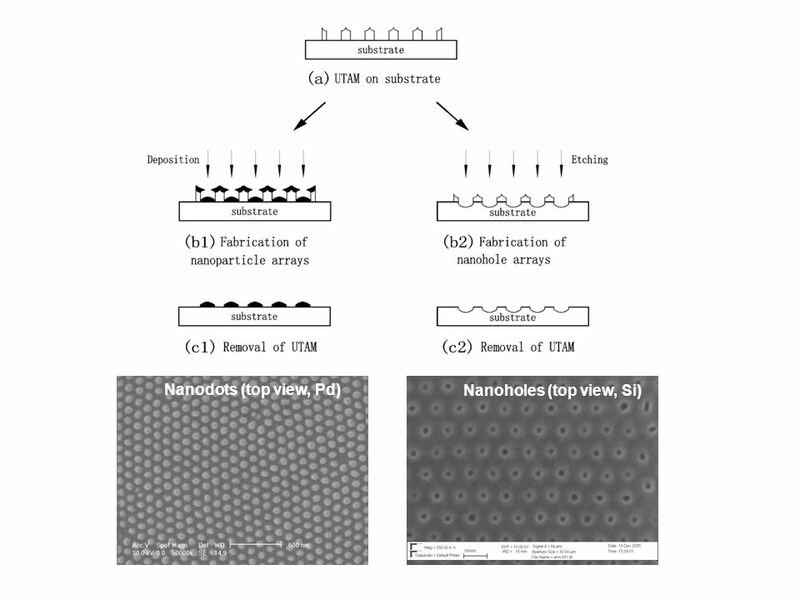 Pore diameter, cell size and thickness of the UTAM are about 80, 105, and 240 nm, respectively. 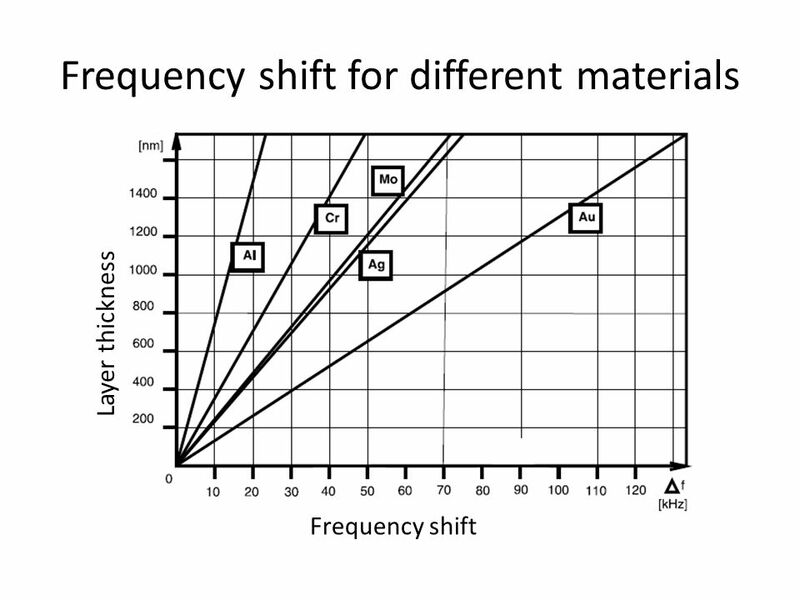 The aspect ratio of the apertures of the UTAM is about 1:3. 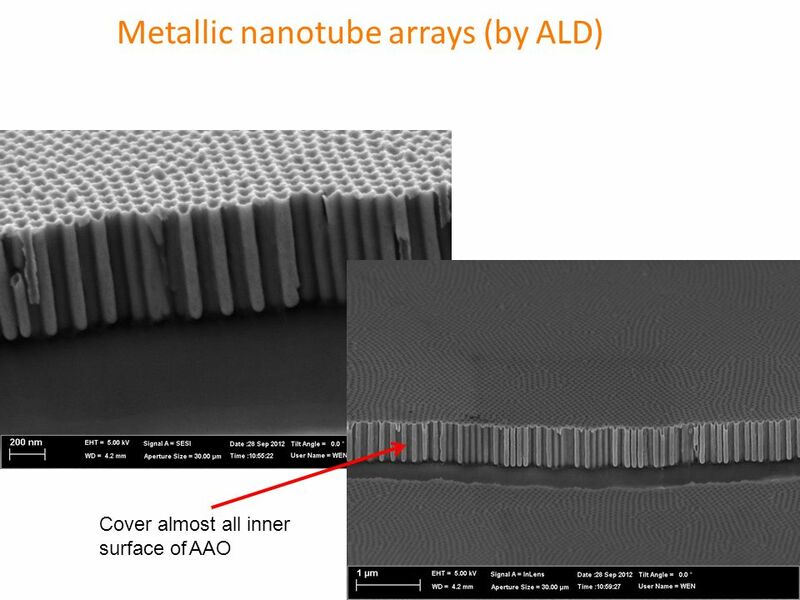 The average height and base diameter of the nano-hemispheres are approximately and 75 nm, respectively. 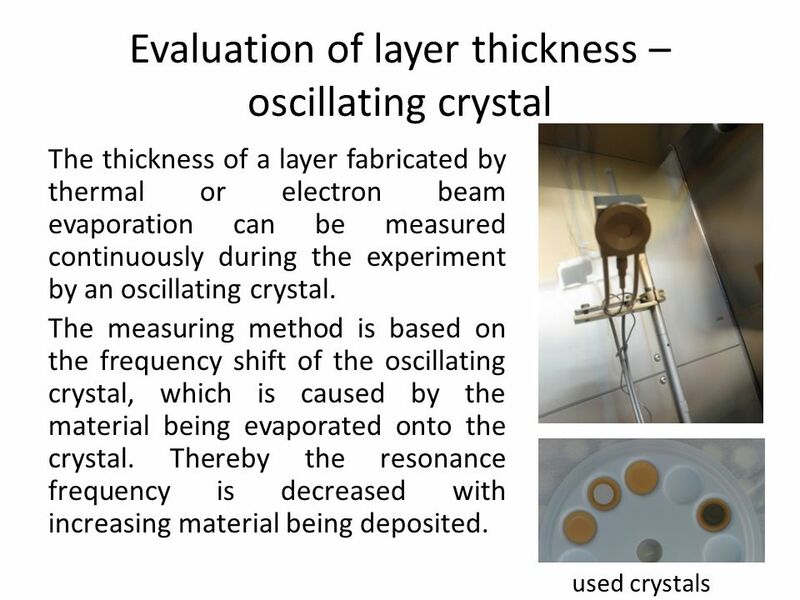 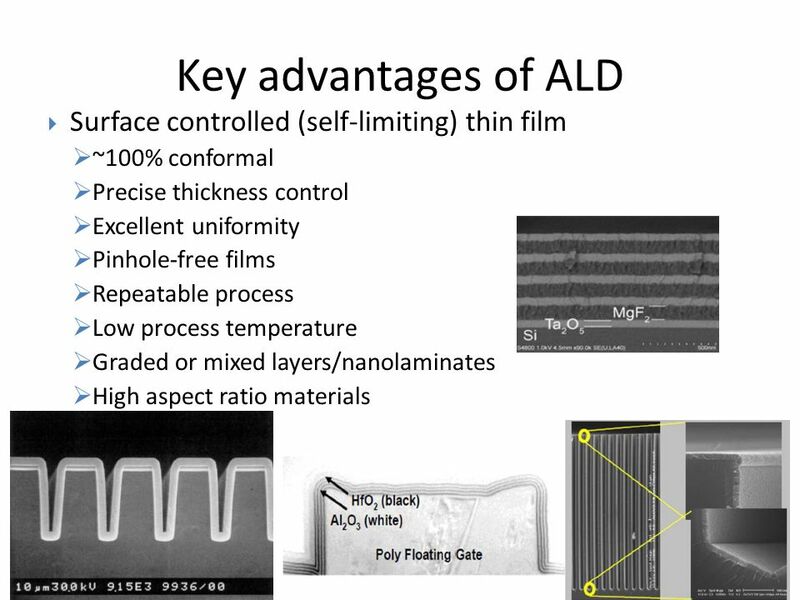 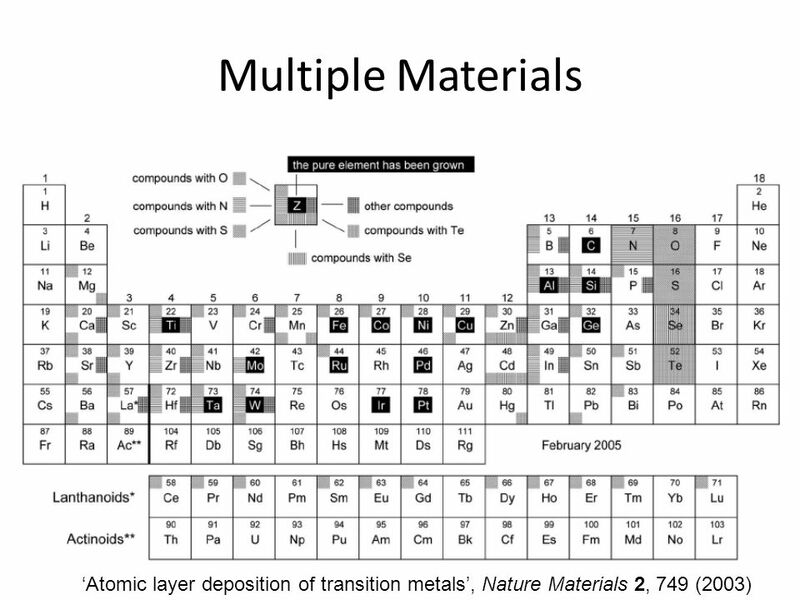 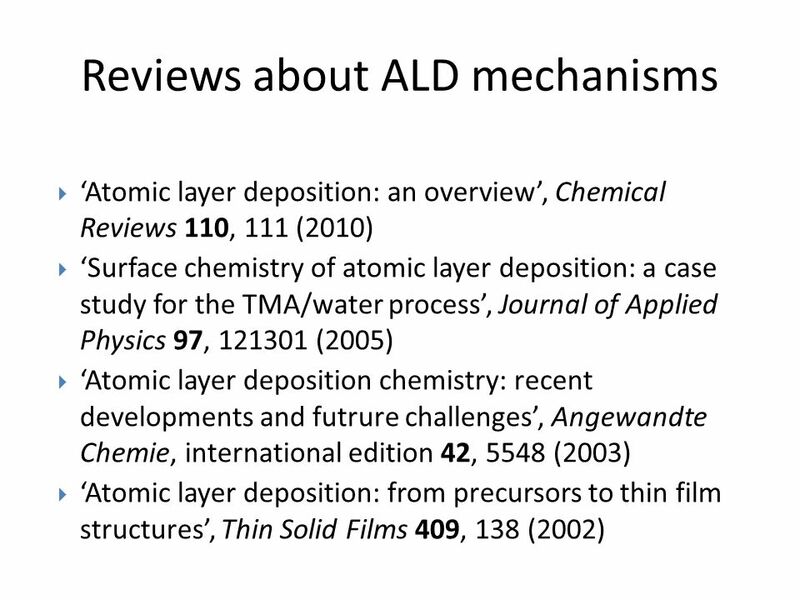 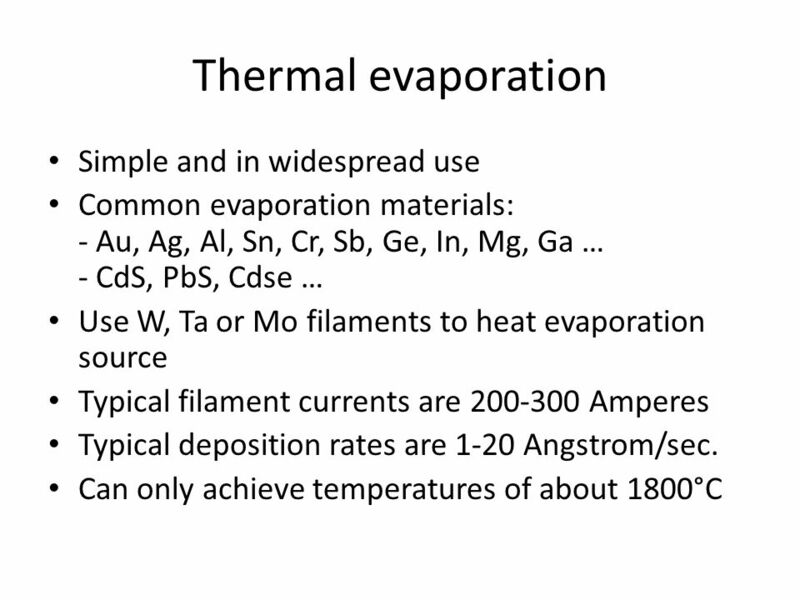 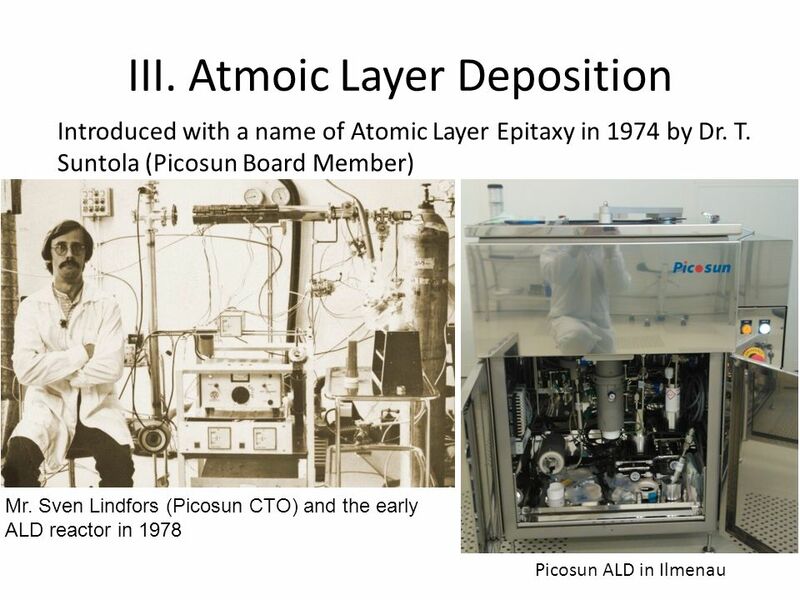 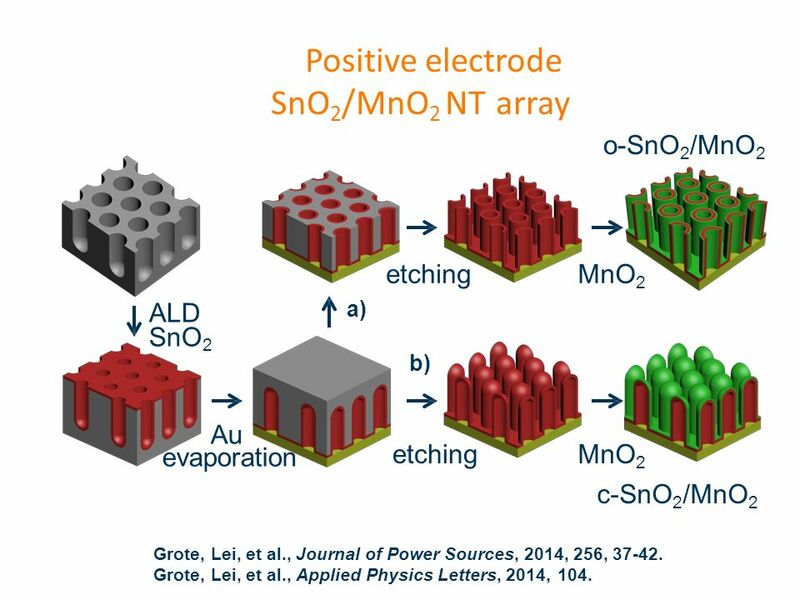 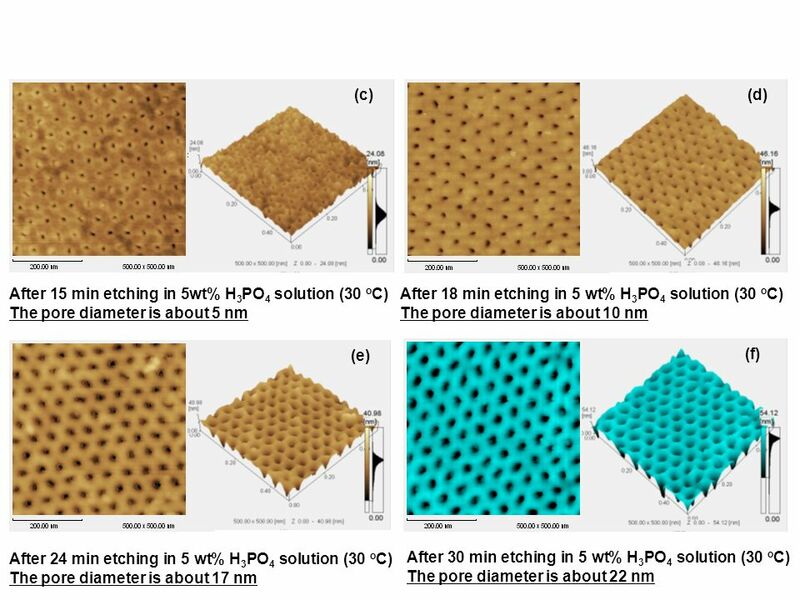 o-SnO2/MnO2 etching MnO2 a) ALD SnO2 b) Au evaporation etching MnO2 c-SnO2/MnO2 Grote, Lei, et al., Journal of Power Sources, 2014, 256, Grote, Lei, et al., Applied Physics Letters, 2014, 104. 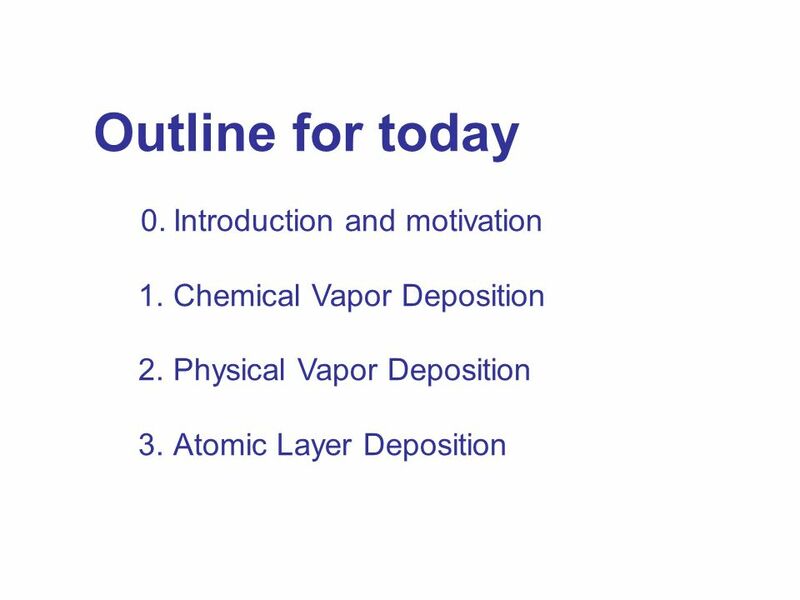 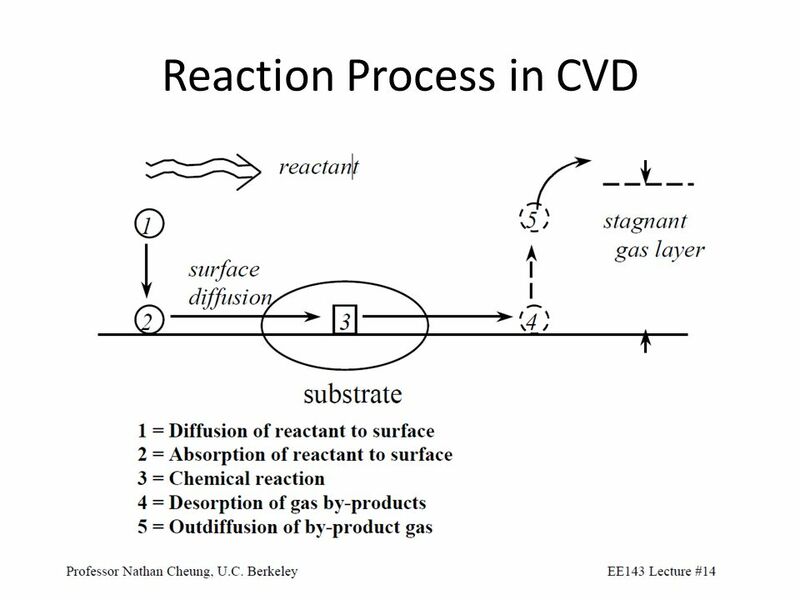 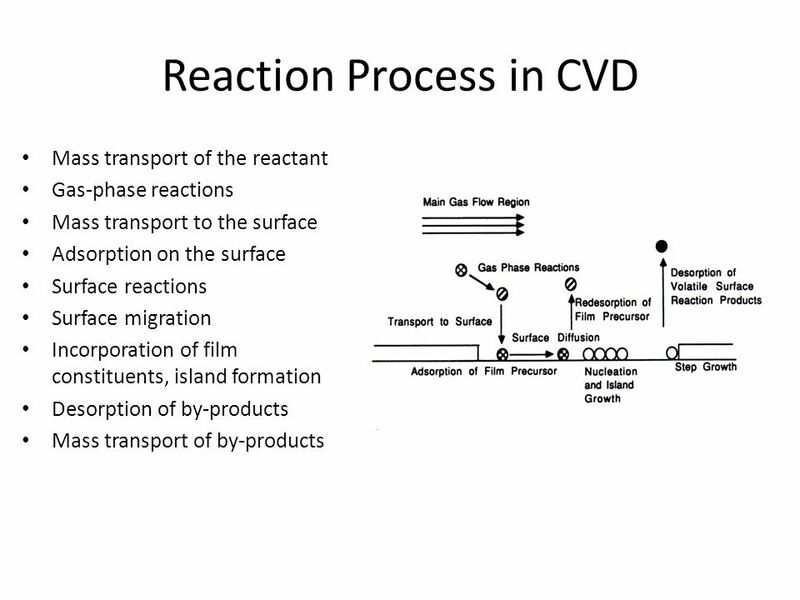 Chemical vapor deposition (CVD) is a reaction process to synthesize CNTs from different precursors. 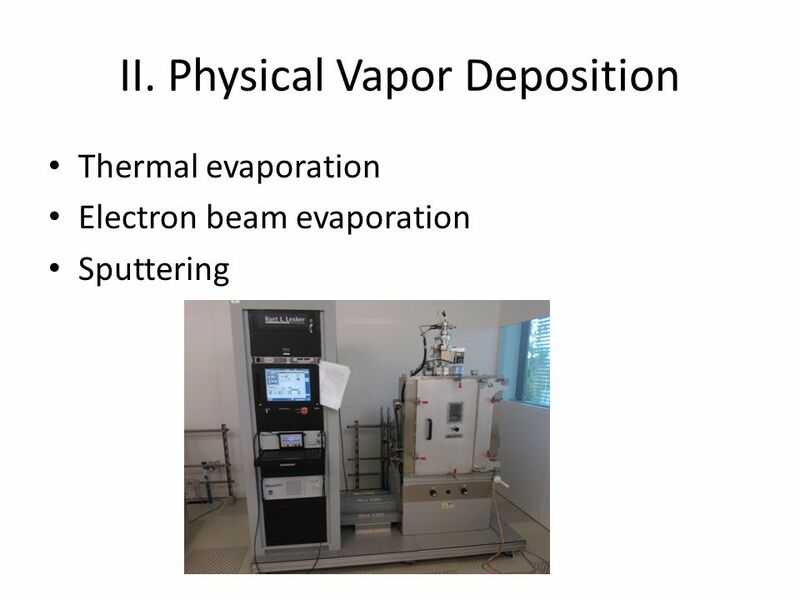 Compared to arc-discharge and laser ablation methods, the main advantages of this process are: (1) Production to industrial level (approximately a pound per day synthesized by Carbon Nanotechnology Inc., Houston, Texas). 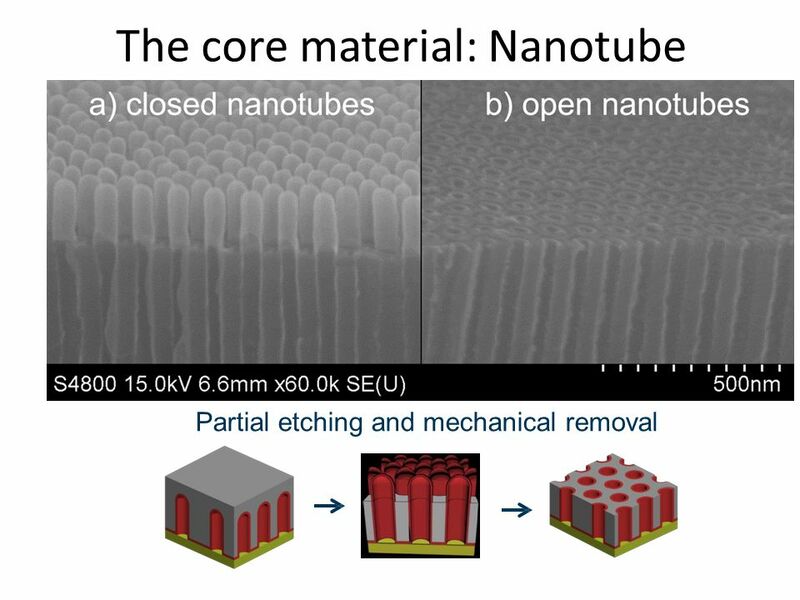 (2) Control over growth of desirable (diameter, length and position) CNTs which is more important for electronic applications. 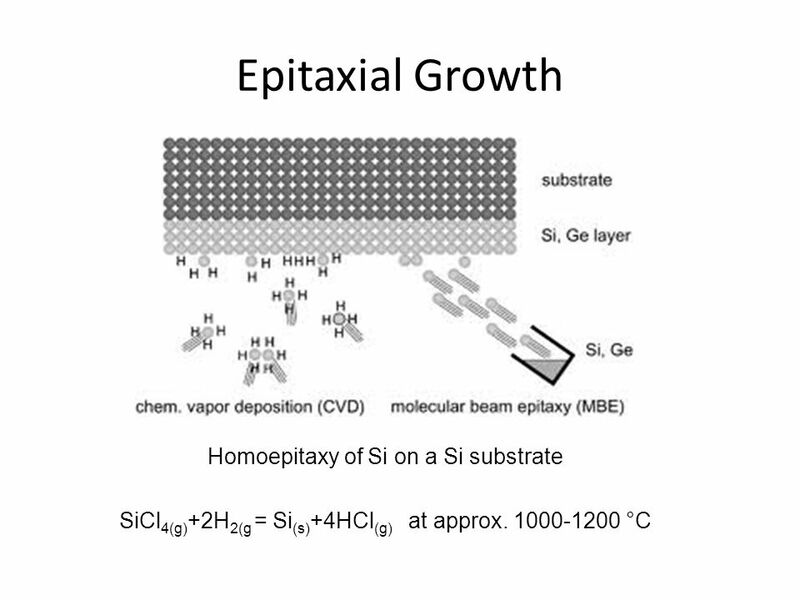 Dissociation of precursors at the catalytic particle surface is the key for CNT growth. 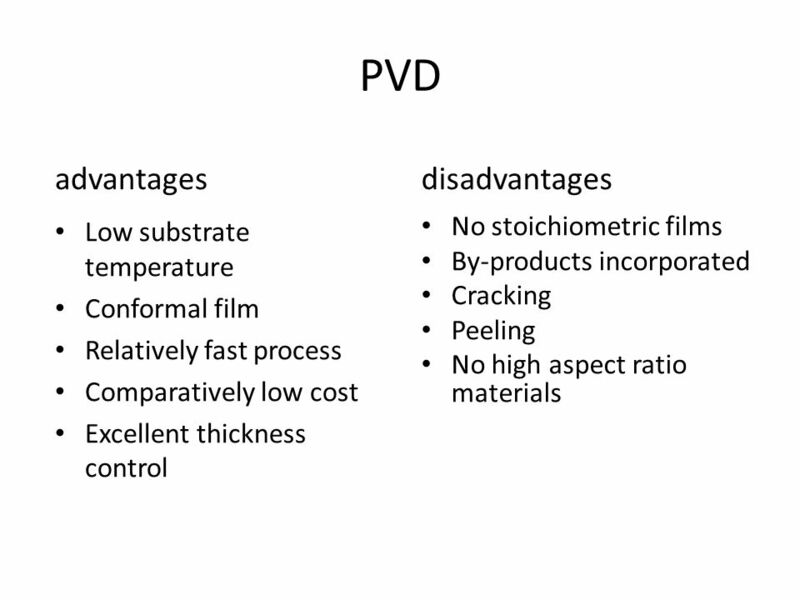 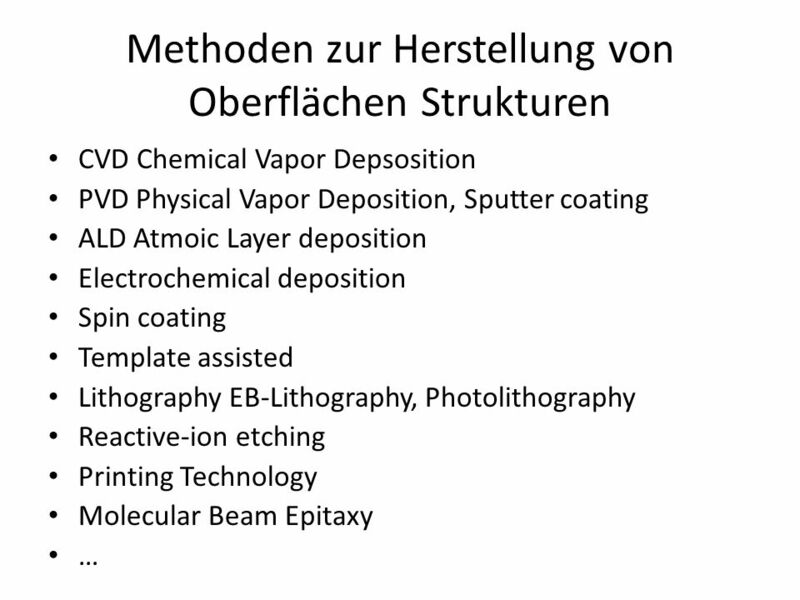 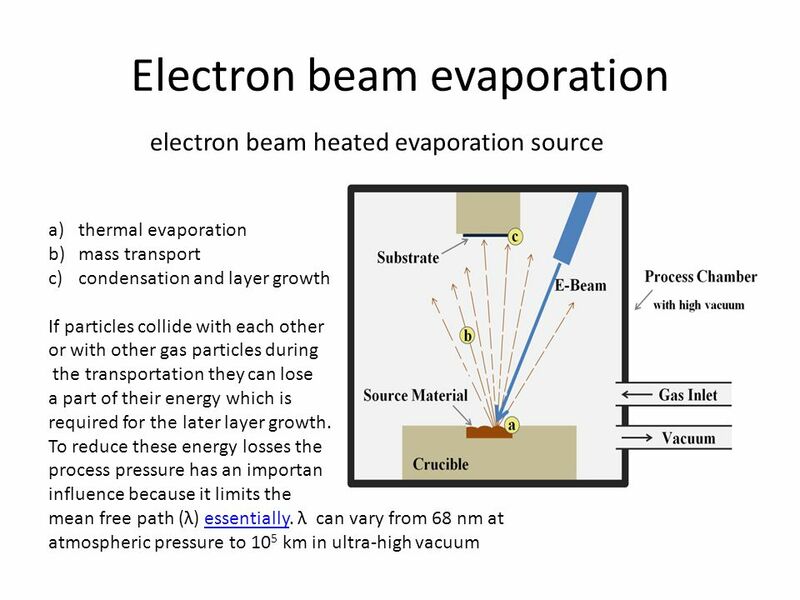 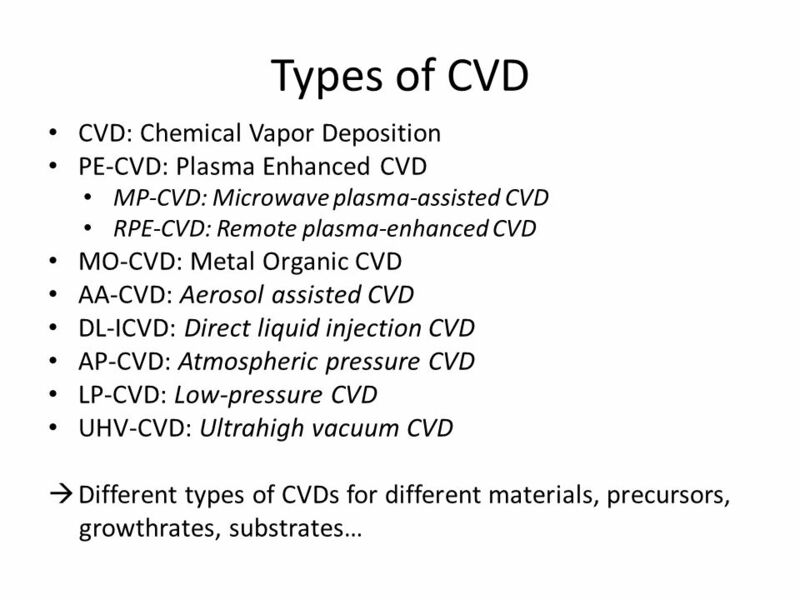 Chemical vapor deposition (CVD) can be sorted depending on the energy sources: plasma-enhanced CVD (PECVD), thermal CVD, etc. 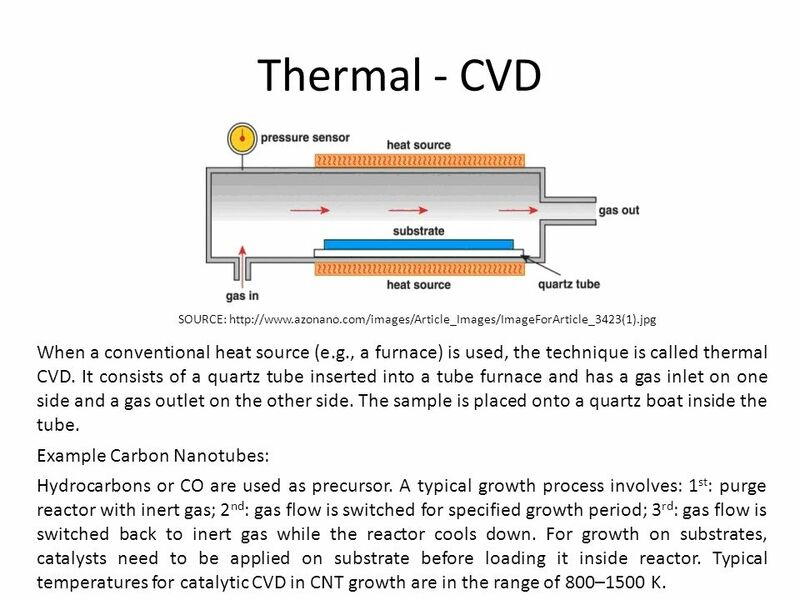 Thermal - CVD SOURCE: When a conventional heat source (e.g., a furnace) is used, the technique is called thermal CVD. 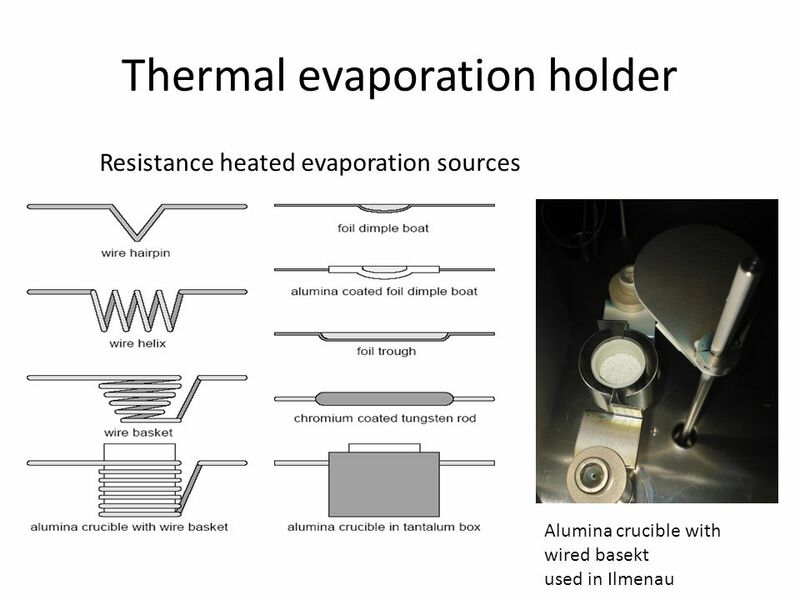 It consists of a quartz tube inserted into a tube furnace and has a gas inlet on one side and a gas outlet on the other side. 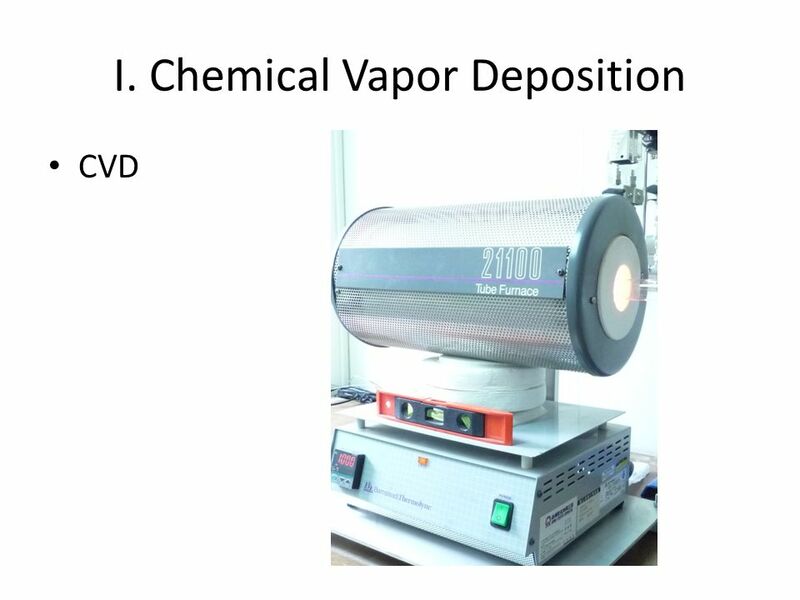 The sample is placed onto a quartz boat inside the tube. 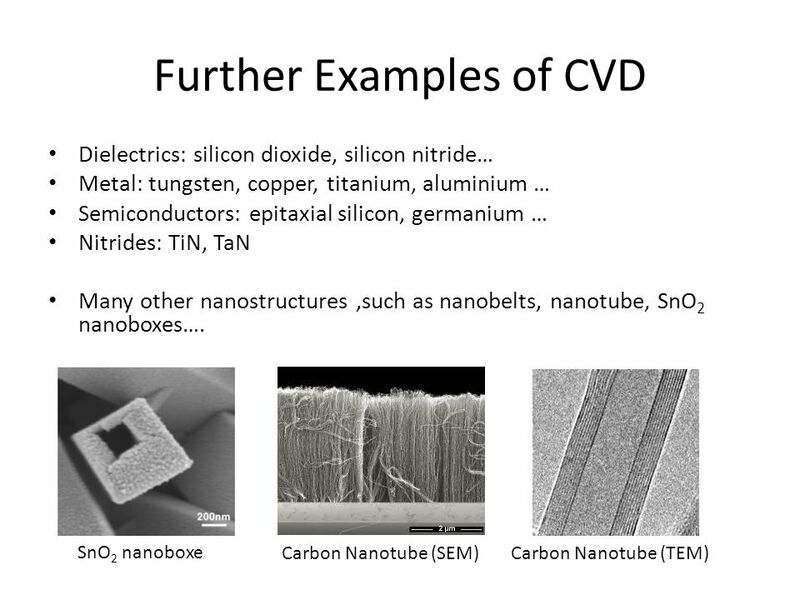 Example Carbon Nanotubes: Hydrocarbons or CO are used as precursor. 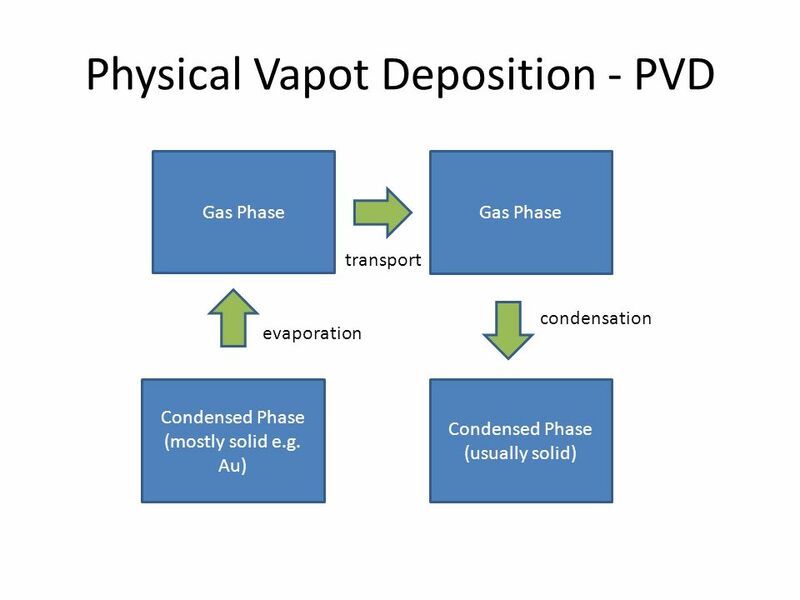 A typical growth process involves: 1st: purge reactor with inert gas; 2nd: gas flow is switched for specified growth period; 3rd: gas flow is switched back to inert gas while the reactor cools down. 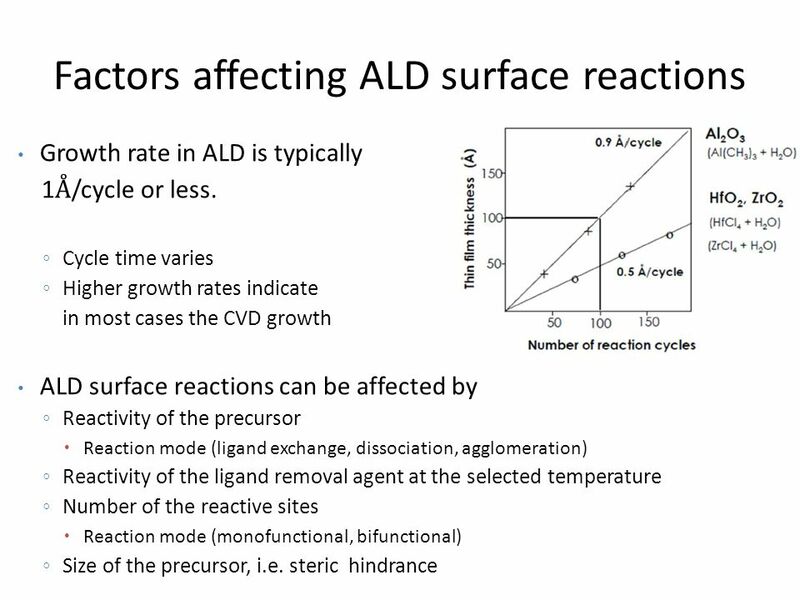 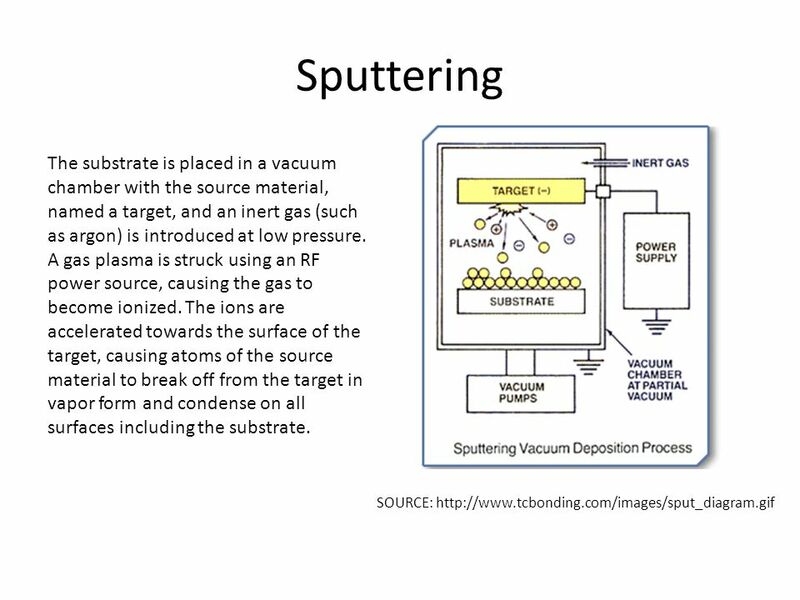 For growth on substrates, catalysts need to be applied on substrate before loading it inside reactor. 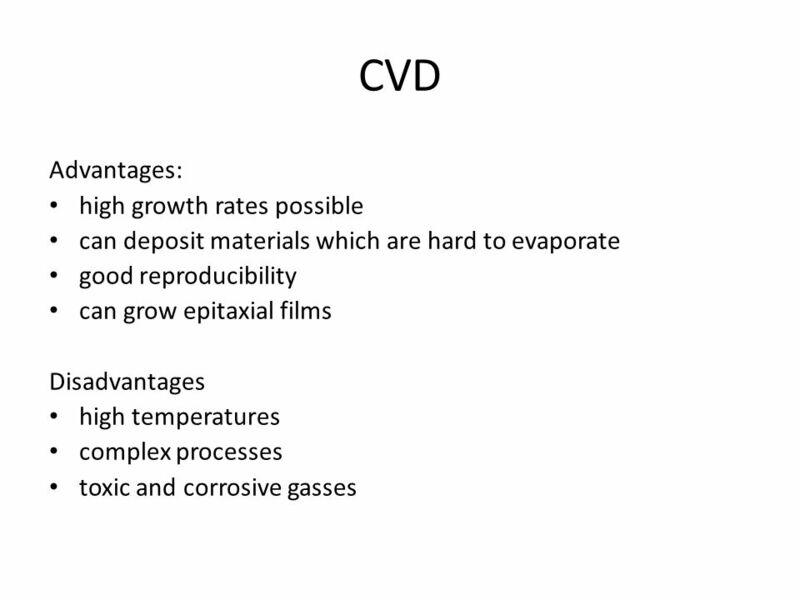 Typical temperatures for catalytic CVD in CNT growth are in the range of 800–1500 K.
As the size of electrical devices is scaled down continuously, it is said that the gate thickness need to be down to 1.0 nm in the near future. 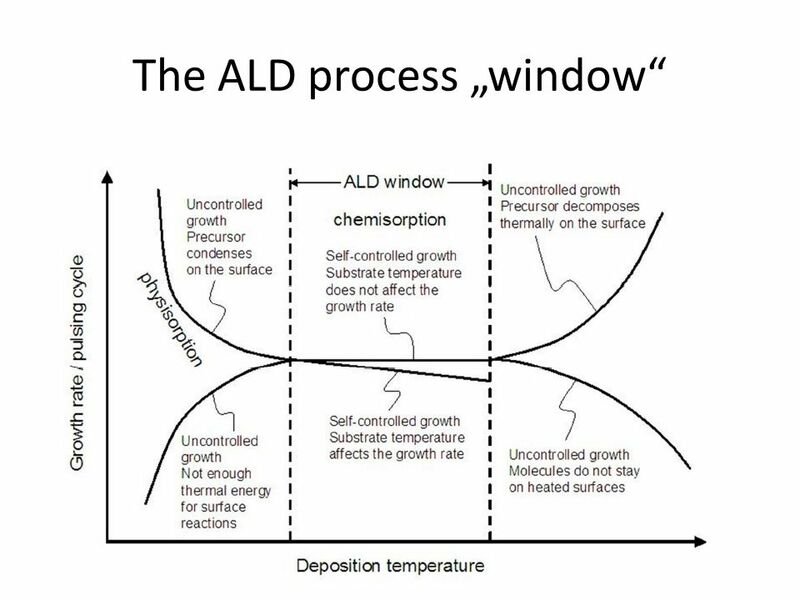 At this point, ALD is the only promising technique. 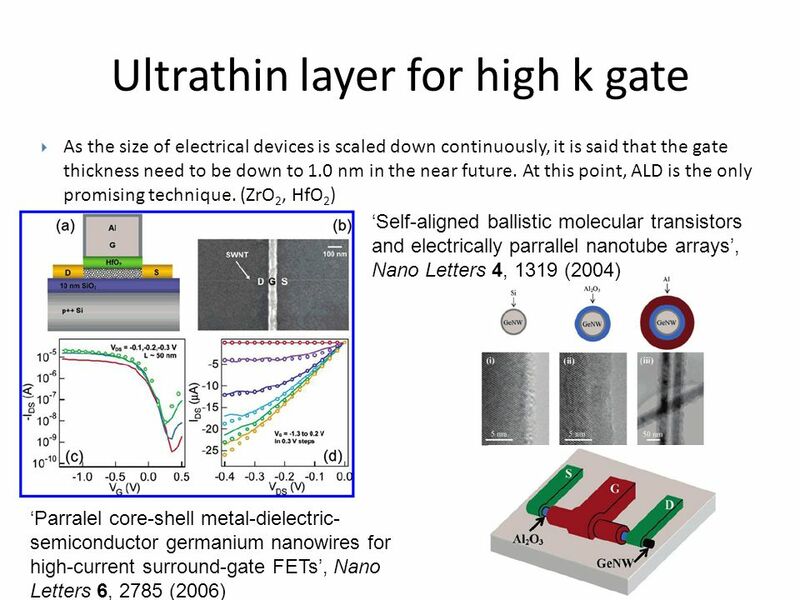 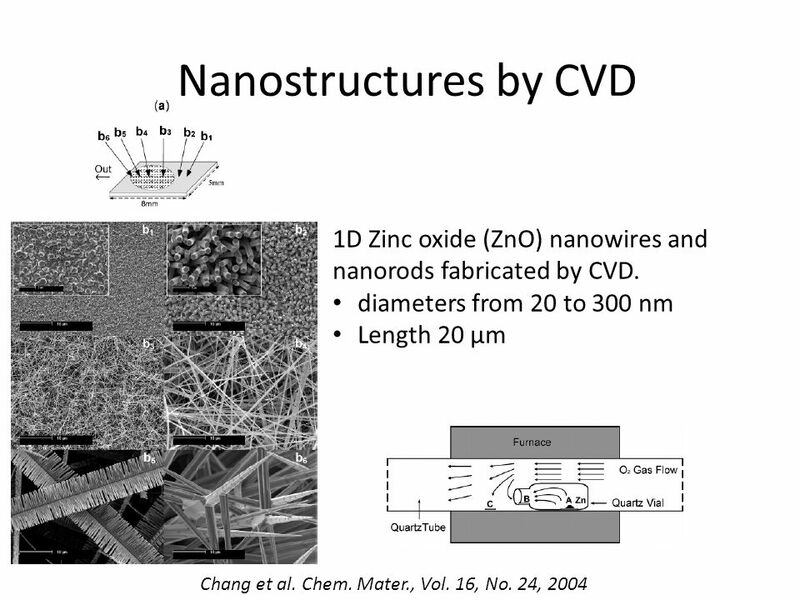 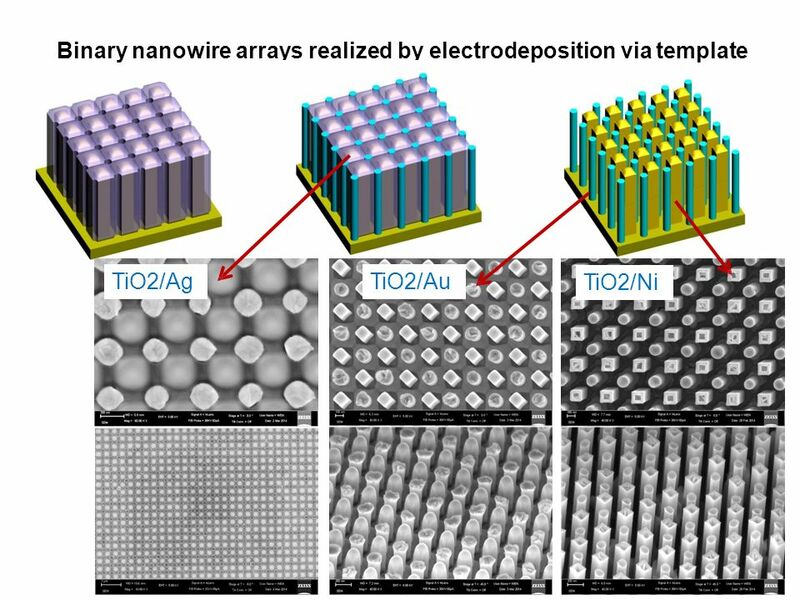 (ZrO2, HfO2) ‘Self-aligned ballistic molecular transistors and electrically parrallel nanotube arrays’, Nano Letters 4, 1319 (2004) ‘Parralel core-shell metal-dielectric-semiconductor germanium nanowires for high-current surround-gate FETs’, Nano Letters 6, 2785 (2006) And other articles about high K gate oxides. 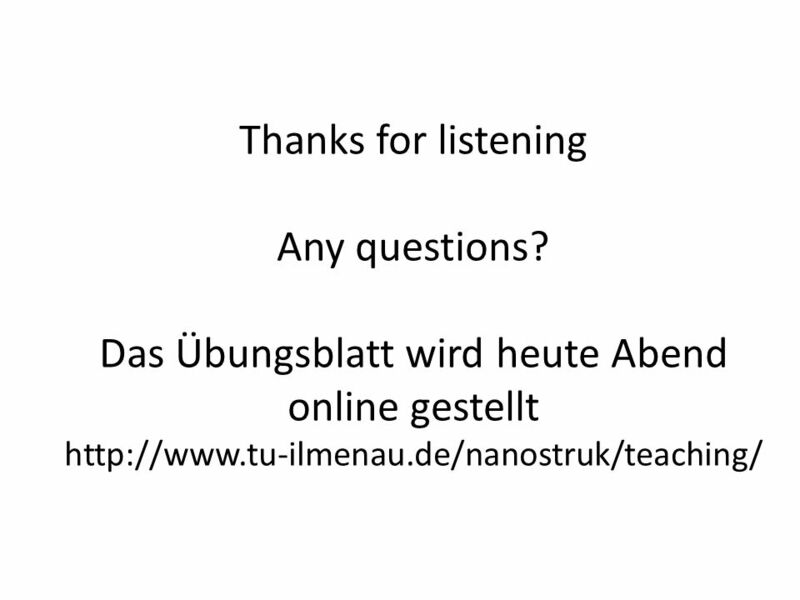 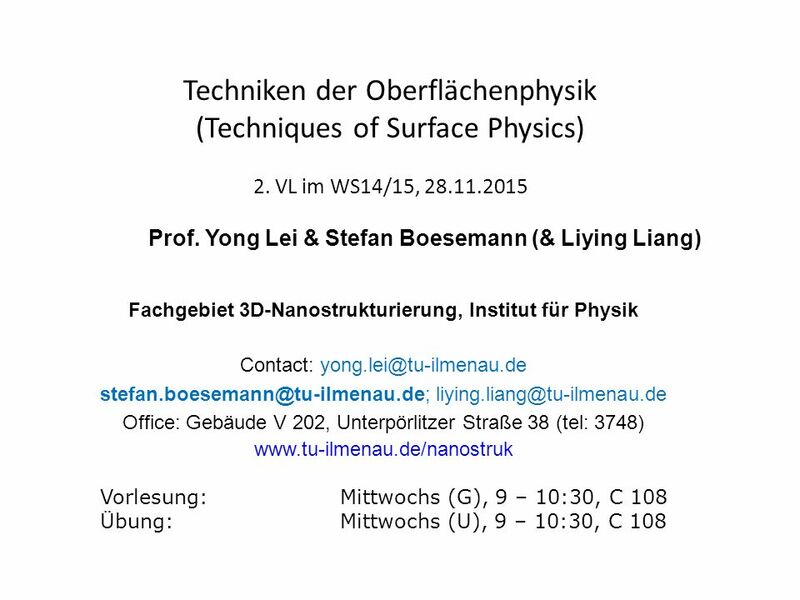 Herunterladen ppt "Fachgebiet 3D-Nanostrukturierung, Institut für Physik"
Wind fields can e.g. 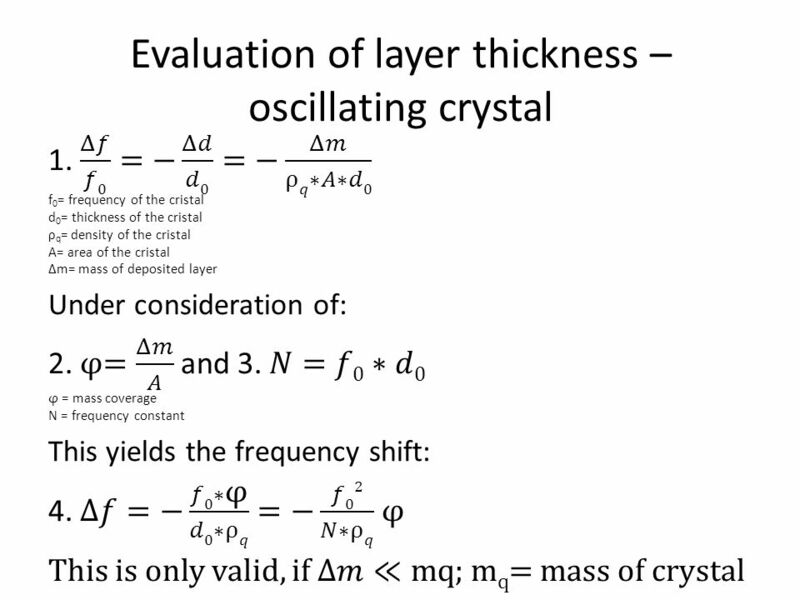 be calculated using the so-called momentum equations which are based on the Navier Stokes equations. 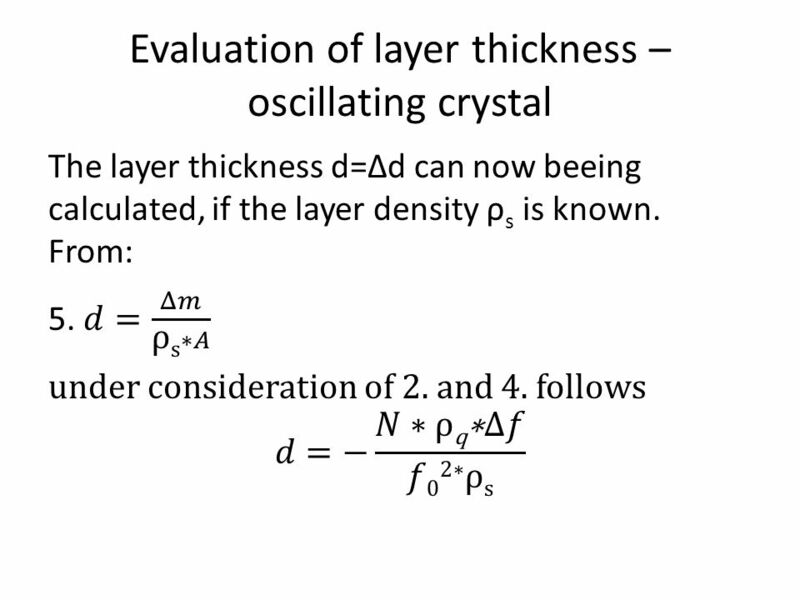 But this is complicated mathematics. 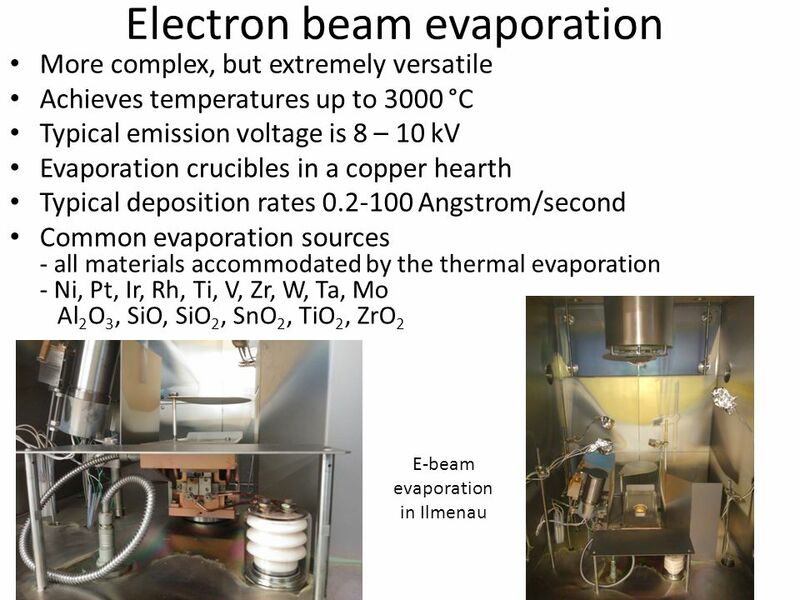 KIT – die Kooperation von Forschungszentrum Karlsruhe GmbH und Universität Karlsruhe (TH) The dependence of convection-related parameters on surface and.